A Home Secretary’s lot is not a happy one. Whatever can go wrong will, inevitably, go wrong. That was the experience of Theresa May’s predecessors in the last Government. And it’s certainly her experience of the Home Office. Because problems with immigration, asylum laws, terrorism and repatriating terrorists are all near the top of her problem list. 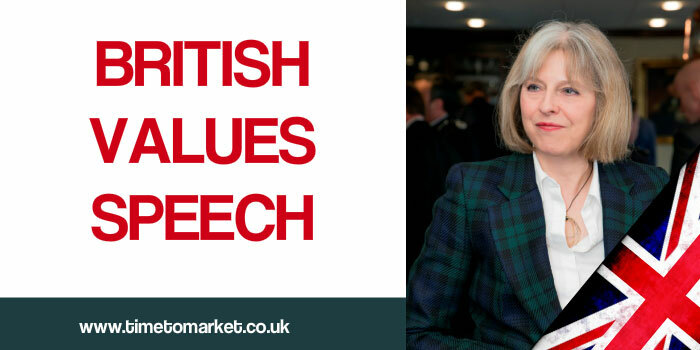 But, with a General Election looming, the Home Secretary cast these problems aside with a headline-grabbing British values speech in London today. It’s odd that her British values speech should be headline-grabbing. Not least because most of the measures outlined in her speech at the Royal Institute of Chartered Surveyors had already been outlined in her conference speech in the Autumn. The Foundation for Peace is one of the finest examples of how families, communities and government can come together and, by working in partnership, respond to the issues at the heart of what I want to talk about today. That was it. Enough to make you want to yawn straight away. And it didn’t really get any better. In spite of the serious content. The rigorous policies. The strident proposals or the new restrictions, this speech really plodded its way to its conclusion. Yes, we heard “British values” mentioned 13 times. Good repetition. But could anyone define British values? It’s a difficult concept around which to wrap such an important speech. And it is important. You just can’t deny it. Some say we cannot base a counter-extremism strategy on British values because it is too difficult to define them. But we are not calling for a flag to be flown from every building, or demanding that everyone drinks Yorkshire Tea and watches Coronation Street. Yorkshire Tea? Has Andrew Jones MP now managed a brand check for his old employer, Taylor’s of Harrogate? A Trojan Horse, perhaps? The content of that strategy will be for the next government to take forward. It’ll be the job of the next government to do this. The starting point is, of course, the need for a better evidence base for dealing with extremists and extremist organisations. Evidence base. What did we do before evidence bases? And what did we do before evidence-based decision making? Unfortunately her speech positively gushed with such claptrap, probably written for her by a sociology or criminology graduate. But audiences neither want nor need this rubbish. So, speech writers should leave that for the sociology lecturers. Things did get better with her conclusion. That was more like it. What we’d expect to hear from a Home Secretary up for re-election in six weeks time. Yes, I’ll tolerate it on this occasion. 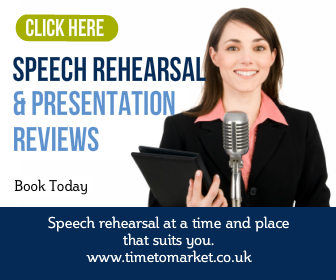 You can always find out what words work best in your next speech with a public speaking course from Time to Market. You can choose a course at one of more than 40 training centres in the country. 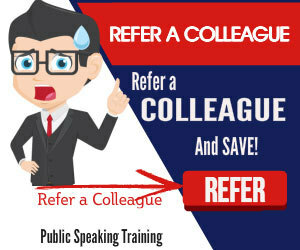 Or, perhaps we can train you and your team at your own offices. Please don’t hesitate to call us.